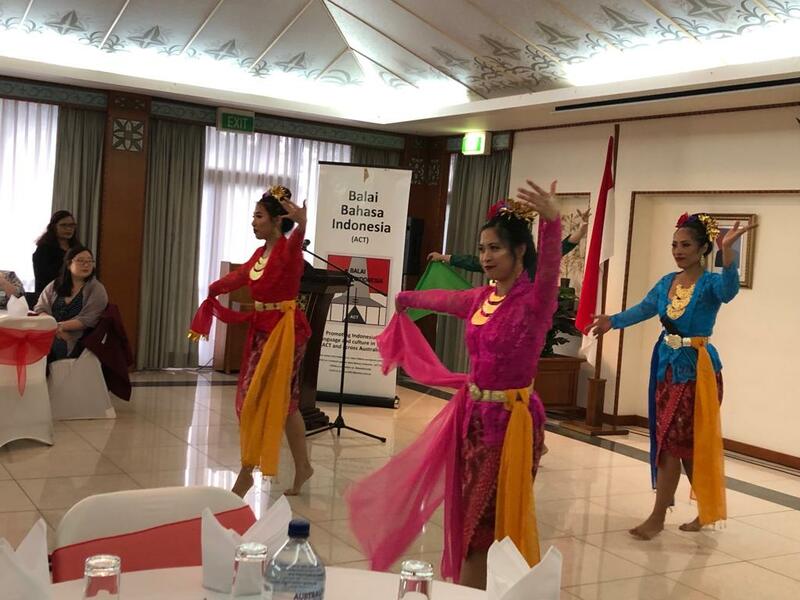 The achievements of primary and secondary school teachers of the Indonesian language were once again celebrated at a dinner hosted by Balai Bahasa Indonesia (ACT) at the Indonesian Embassy in Canberra on 4 November 2016. 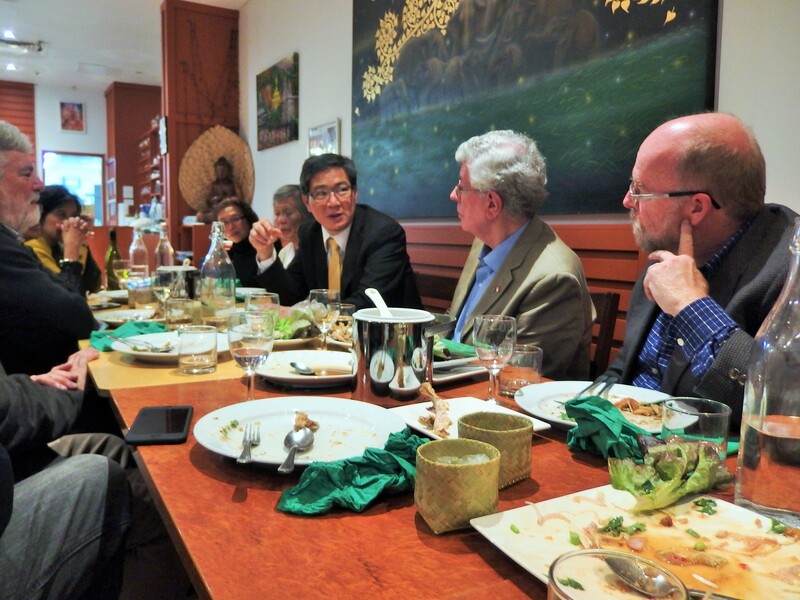 At least 10 ACT Schools were represented at the dinner which provided teachers and school principals the opportunity to exchange classroom experiences teaching Indonesian to students in Canberra. 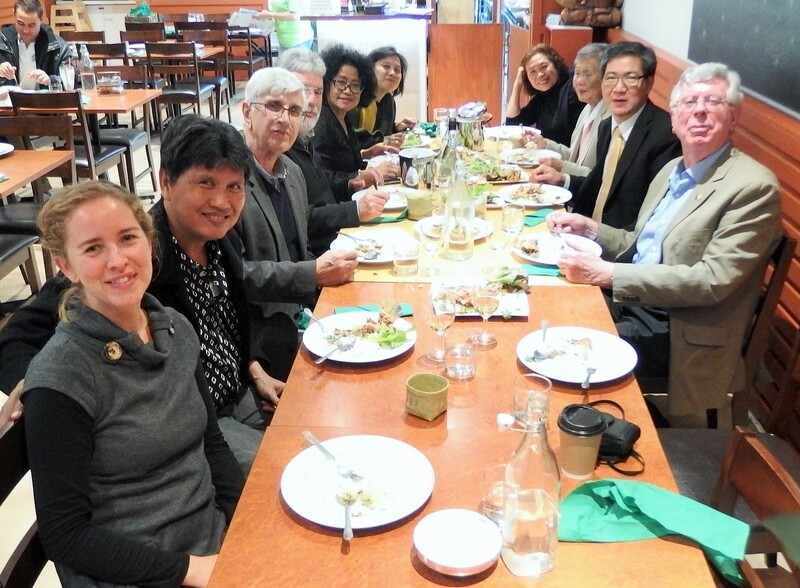 Specially invited guests included five Indonesian Language Teacher Assistants who give up time outside their own academic studies in Canberra tertiary institutions to teach in classrooms under their supervising teachers. 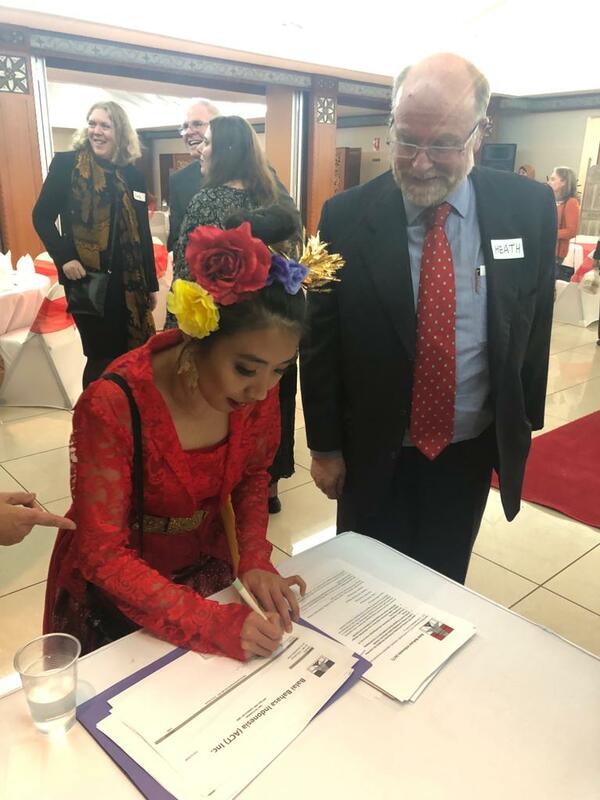 BBI (ACT) Chair, Heath McMichael, told guests the task of encouraging young people to take up and persevere with Indonesian language and culture studies is a challenging one, especially in the light of ingrained community indifference about Australia’s nearest Asian neighbour. 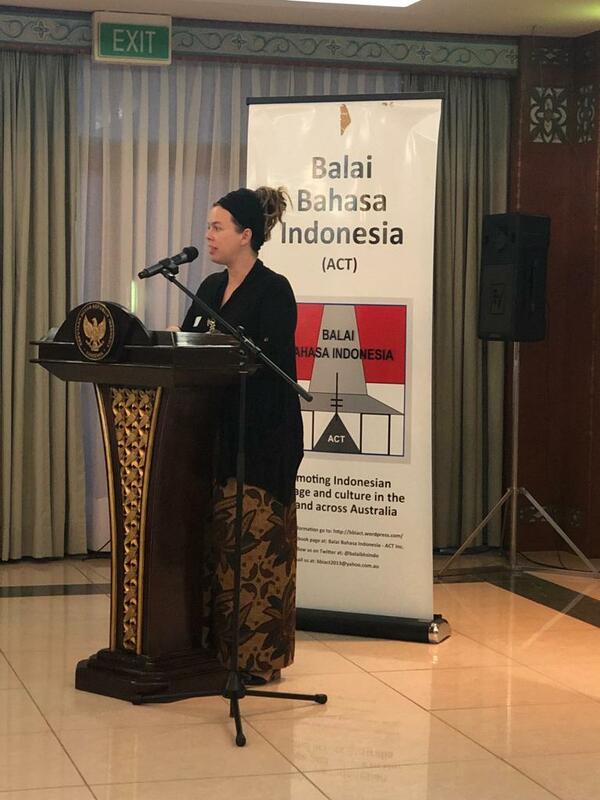 Heath said that BBI (ACT) was willing to assist teachers, principals, and ACT education authorities promote the learning of Indonesian in order to maintain much-needed ballast in the people-to-people relationship between the two countries. 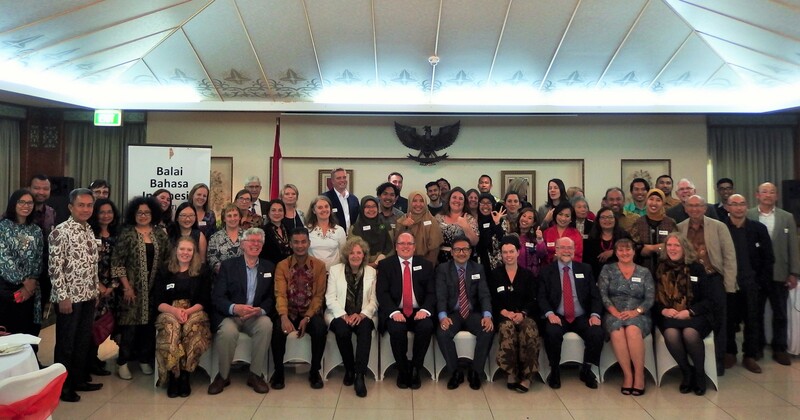 BBI (ACT) is looking at practical and inventive ways to stimulate interest in Indonesian language learning, for instance in workshopping Indonesian curriculum materials with teachers and educators from schools in Canberra and Indonesia, organising teacher field trips to schools in eastern Indonesia and, hosting a YouTube Indonesian language competition.